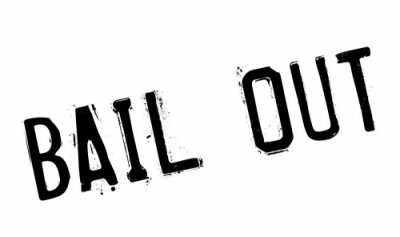 Posting bail is a significant commitment and should not be taken lightly. When you post bail for a family member or friend, you assume certain responsibilities that could have serious financial repercussions for you. When you arrange a bail bond in Upper Marlboro , your bail bond agent will review the contract with you to be sure you understand both the responsibilities of the person you are bailing out and your own. Be sure to ask questions about the process if you have them. Here is a closer look at what your responsibilities are after arranging for bail for a loved one. When you sign a bail agreement, you agree that the defendant will appear at every court date that he or she is scheduled to attend. The bail bond agent will not actively get involved in ensuring that a defendant goes to a court date. Although the defense attorney may attempt to get the accused to understand the importance of attending court, he or she only has a limited amount of power to make sure the defendant shows up. When you sign a bail agreement, you take on the responsibility to making sure the person you’ve bailed out is diligent about attending court. If the person for whom you’ve arranged a bail bond skips bail, then you may be responsible for additional fees, including any fugitive recovery fees incurred by the bail bond company to find the defendant. 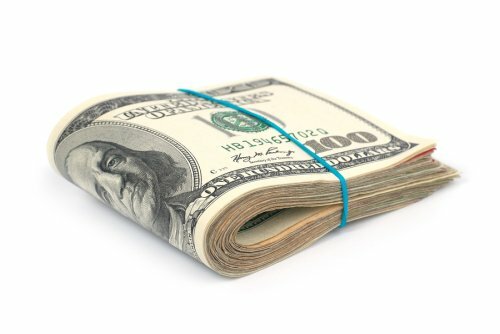 The bail bond agent will request your help in locating the fugitive, and sharing any information you have could help save you a significant amount of money. In addition to paying the bond fee for the agent’s services, you will have to pay the full bail amount charged by the court if the defendant cannot be located. That means you may lose the collateral you used to secure the bond, as it could be collected to offset the cost of the bail if you are unable to pay. Cash bail involves paying the entire bail amount in cash directly to the court. This is different from a property bond, in which a piece of property is put up as collateral in lieu of cash, or a surety bond in Upper Marlboro , in which a bail bond agent posts on a bond on behalf of the defendant. 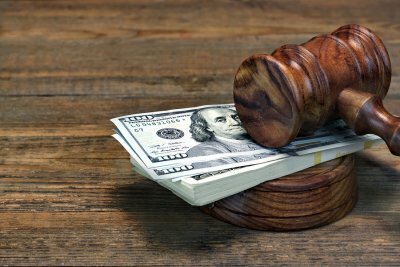 If you are considering paying cash for bail, one question you are sure to have is whether your money will be refunded if the defendant shows up for all of his or her court cases. The answer is complicated. Generally, you are entitled to have the cash you have posted as bail returned to you after the case against the person you bailed out has concluded. However, if the defendant is found guilty, there are a number of incidents in which the court can retain the cash bail. The reason that surety bonds are the most popular way of paying bail is they offer more protection than cash, so that the court is not holding a large sum of your money that they could keep. With a few exceptions based on the type of charges, most first-time defendants are granted bail . For repeat offenders, the situation is different. The courts will consider past criminal history when making a decision about bail, and repeat offenders may face higher costs. Fortunately, a bail bond agent in Upper Marlboro can make posting bail possible, even if the amount is significant. If you or someone you are bailing out is a repeat offender, here are the facts you need to know. How does being a repeat offender impact bail decision? Having a criminal history can weigh on bail decisions in a few ways. Depending on the nature of the past charges, the judge is likely to set bail higher than he or she would for a first-time offender facing the same charges. He or she may also decide to deny bail completely, if the defendant has a long criminal history. Violent crimes and other felonies are more likely to affect bail decisions than a non-violent misdemeanor charge that is many years in the past. What can repeat offenders do to get the most favorable bail decision? The best thing repeat offenders can do is to retain an attorney before the bail hearing, so that they have someone to advocate on their behalf. It can also be helpful to have a plan for where they will be living while out on bail and to demonstrate that not being out on bail will present a hardship, such as a leading to job loss for a person who is the chief breadwinner for a family or causing child care issues for single parents. Will a bail bond agent work with a repeat offender? Most agents will provide bail bonds for repeat offenders, provided that there is no history of skipping bail or money due to other bail agencies. If a defendant owes money to another bail bond agent, the company may insist those payments are current before issuing a bond. In some instances, after loved ones go through the process of posting bail with the help of a bail bondsman in Upper Marlboro , the prosecutor may try to revoke the bond. If this occurs, there will be a motion to revoke bond hearing, during which the judge will listen to evidence and decide whether to allow the bond to continue. Watch this video to learn about what to expect during a hearing to consider a motion to revoke a bond. Both sides will present evidence to prove or disprove that the defendant violated a condition of his or her bond. These conditions are agreed to at the time of posting bail and may include things like not traveling out of state, not possessing a firearm, and not using alcohol or drugs. If the judge determines the defendant has violated their conditions, he or she may be returned to jail. If not, the bond will be allowed to continue.